Photo of the day: WHAT IS WRONG WITH THIS PICTURE? Photo of the day: WHAT IS WRONG WITH THIS PICTURE? 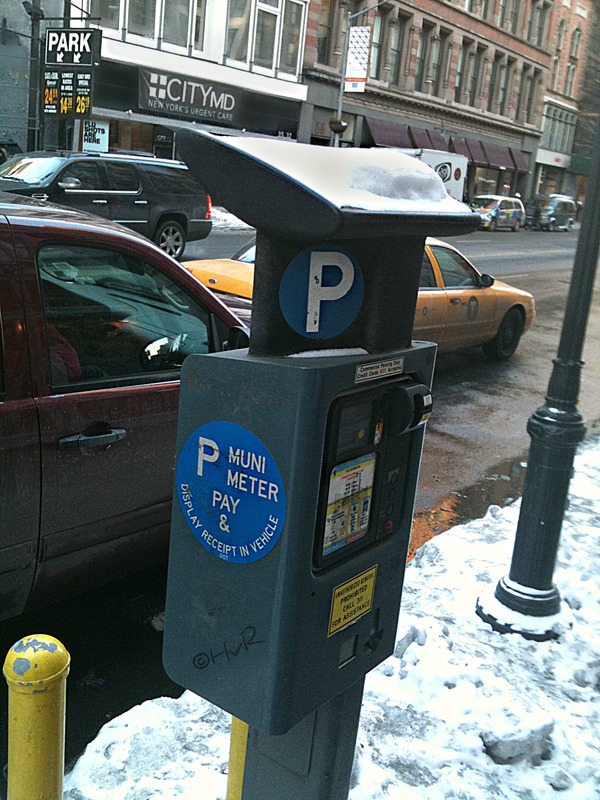 – This is a solar powered parking meter in New York City. The mayor has been harassed to clean all the streets at once in our last three blizzards this year. Everyone is screaming “clean my street, clean your sidewalk, clean the outdoor subway platforms, salt the bridges!” But – one thing no one has thought of is…the solar powered parking meters. Their solar panels on top are completely ice and snow covered, which means no sun exposure – hence…they don’t work and therefore you can’t park 😦 .